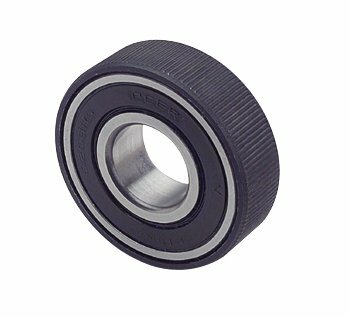 This Lakewood pilot bearing adapter is a roller-type for Chevy. Contains sealed ball bearing and adapter ring. These Lakewood bronze (factory-style) replacement roller pilot bearings improve shifting, and reduce parasitic drag and transmission wear. Worn pilot bushings can cause hard shifting and increase transmission wear.